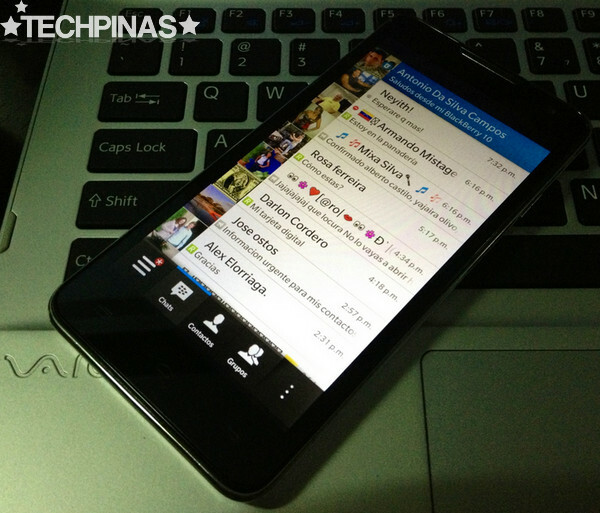 BBM for iPhone and Android Smartphones, Coming Soon! Perhaps to further boost its campaign to beat Windows Phone and claim the third spot in this era's tight platform battle, BlackBerry yesterday officially announced that it will be bringing its exclusive mobile social network, BlackBerry Messenger (BBM), to both Android and iOS soon! Maybe by introducing one of the most loved features of the BlackBerry handset to iPhone and Android users, the Canadian company would find it easier to convince them to jump ship. BBM will be available for download on iPhone and Android smartphones within the next few months, with support planned for iOS6 and Android 4.0 Ice Cream Sandwich or higher, all subject to approval by the Apple App Store and Google Play. BBM is a mobile instant messaging application with fast, reliable, and engaging experience that includes delivered and read statuses, video chat, and personalized profiles and avatars. Upon release, BBM for iPhone and Android would allow customers to broaden their connections to include friends, family and colleagues on the BlackBerry platform. As of writing, BlackBerry smartphone users who want to enjoy BBM have to register to BlackBerry Internet Service (BIS), which currently costs around Php 99 in the Philippines. It remains to be seen whether BlackBerry will use the same business model for BBM for iPhone and Android and - if that's the case - whether users on those platforms would be willing to spend such amount just to enjoy the said service.